Now for Part 2 of my Fantasy of Flowers reviews! 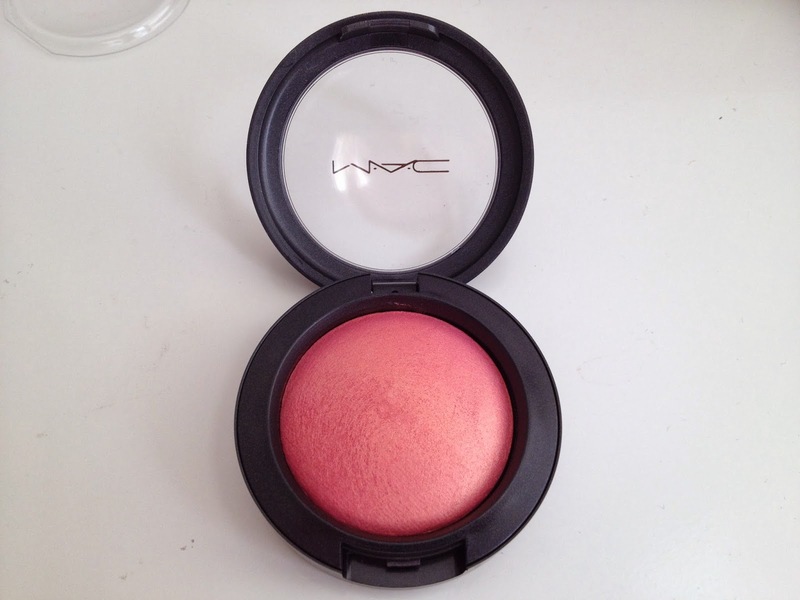 Staying on the theme of blusher and more specifically the recent Fantasy of Flowers Limited Edition Collection - this week's MAC Monday is dedicated to MAC Petal Power Mineralize Blush. Last week I reviewed the Mineralize Skinfinish in Stereo Rose (HERE) which is also part of the Fantasy of Flowers collection. When I bought this I just couldn't chose between Stereo Rose or Petal Power and in the heat of the moment ended up with both! So now I have them both I wanted to compare the two! 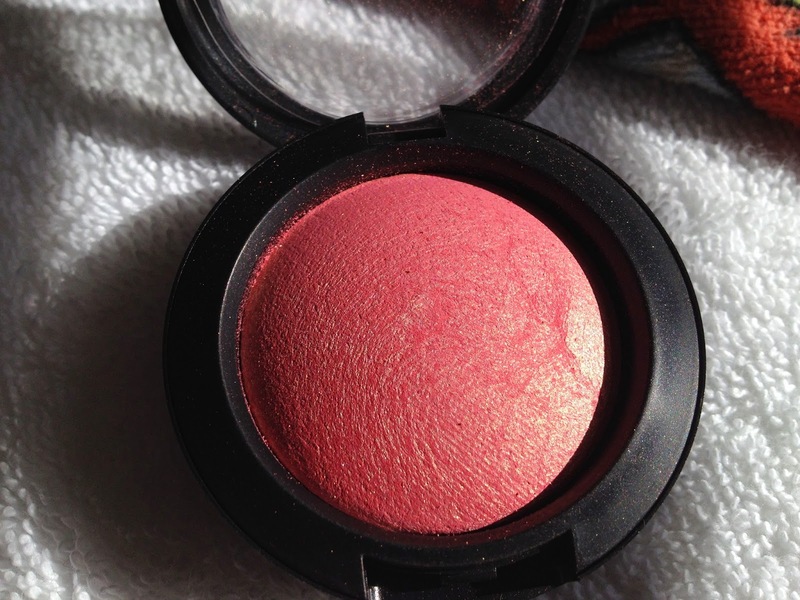 Stereo Rose is a Mineralize Skinfinish where as Petal Power is a Mineralize Blush. MAC Mineralize Skinfinishes are designed to be used as a setting powder to add shimmer all over the face - although unless you had a dark skin tone it is pretty unlikely you would use Stereo Rose in this way. Petal Power however is a straight up blush. 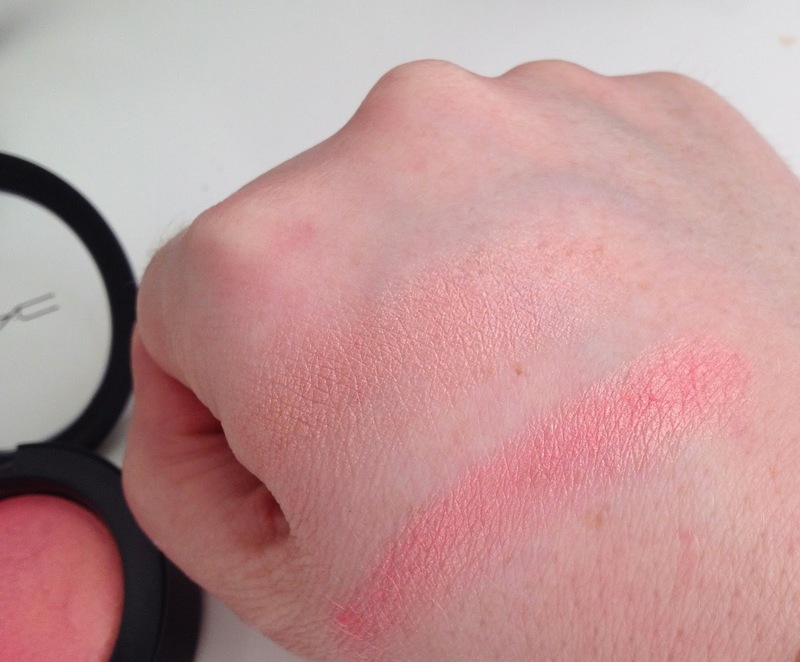 I mentioned last week that I don't own that many blushes so I felt justified in buying both this time (ahem). Having spent the past week alternating them I can see that they are used differently although they have a similar peachy tone to them. Petal Power doesn't have the veins of different colours in the pan that Stereo Rose has, but don't be mistaken into thinking it is just a flat colour. 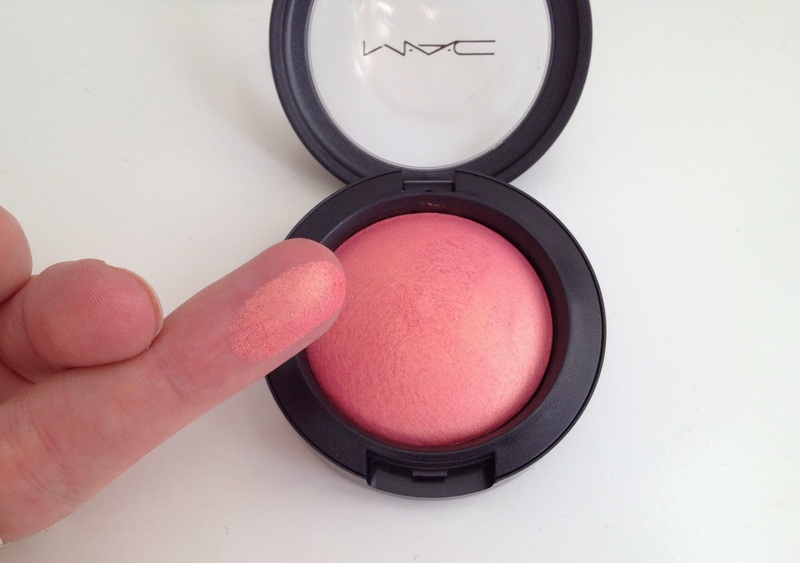 It has a shimmer and golden peachy tones to it which you can see in the photo below taken in the sunlight. Having used both Petal Power and Stereo Rose this week I can confirm that Petal Power has a more intense colour to it. You can use a sweep of Stereo Rose over your cheeks for a soft effect but Petal Power is brighter and you need to make sure you don't overdo it. Petal Power is shimmery but less so than Stereo Rose. I have also used them together - using Stereo Rose over the cheek bone almost as a coloured highlight and touch of Petal Power just below the cheek bone to add a slight contour. You can see from the comparison swatches above that Petal Power is a more intense coral pink-peach compared to Stereo Rose's golden-peach tone. "A luxurious velvet-soft powder with high-frost metallic finish. Smoothes on: adds buffed-up highlights to cheeks, or an overall ultra-deluxe polish to the face"
As I explained earlier these are both part of the Fantasy of Flowers limited edition collection. It is selling out fast - I think it is completely sold out on the MAC website so your best bet are MAC counters in department stores. Stereo Rose is part of the Pink Collection and Petal Power is part of the Green Collection. Have you tried them both? Which one would you choose? 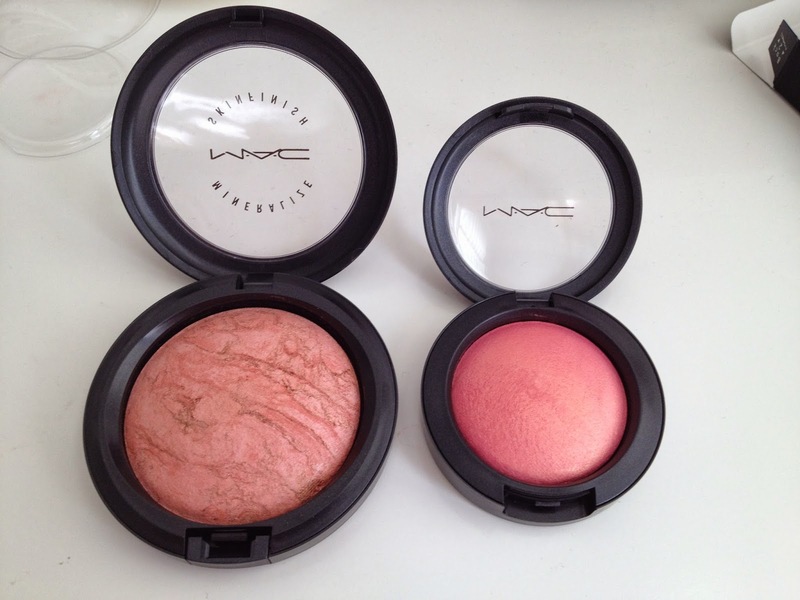 MAC Mineralize Blush in Petal Power is £20 HERE and MAC Mineralize Skinfinish in Stereo Rose is £22 HERE.